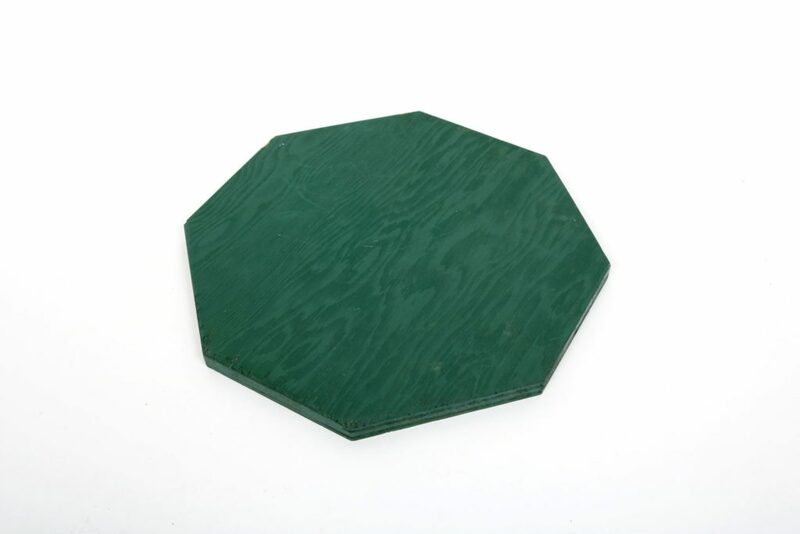 This is an octagonal piece of plywood, painted green, with a circular indentation in the centre. 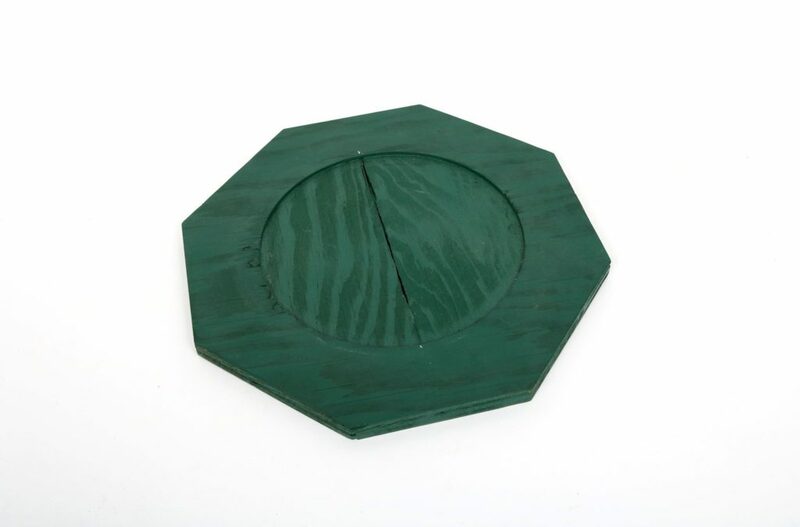 This object is likely for the display of an object that fits into the circular indentation. Good: The wood is chipped in places, particularly around the edge and around the rim of the indentation. There is a split in the centre of the indentation. Both the chips and the split have been painted over, suggesting they occurred before the wood was painted (or repainted).